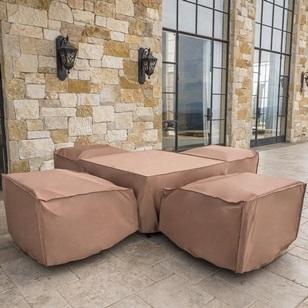 Featuring everything you need to cover the pieces of the 6pc Sectional from the Portofino Collection, this furniture cover set was created to keep your furniture covered for storage over the winter months, to keep them protected from a storm, or to place over your furniture when it is not in use to prevent fading. All outdoor furniture sets are subject to UV rays and weather elements, but these will keep your furniture dry, vibrant, and as long-lasting as possible to provide you with years of use. 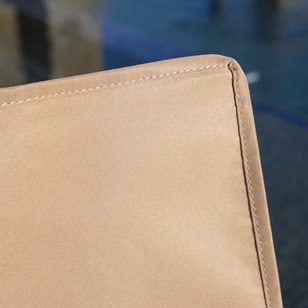 Custom design zips together for one contiguous fitted cover. Designed to fit the Portofino 6pc Sofa Sectional when arranged in the 7'x10' L shape with one armless chair removed. Engineered design features unique fitted panel system which zip together in any configuration for a custom tailored fit. Nylon straps clip together and cinch tight to keep your covers securely in place. 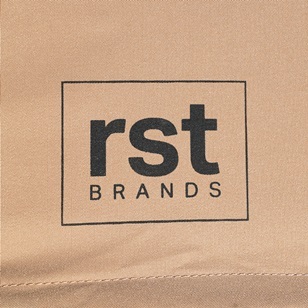 Constructed from high quality 220g/m2 weighted polyester with water resistant PVC backing. 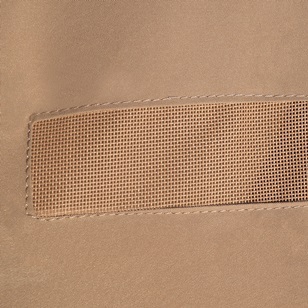 Breathable mesh vented panels allow air to circulate. High quality furniture covers protect your furniture from the outdoor elements and make sure your investment looks better for longer. Engineered design features unique fitted panels which zip together in any configuration for a custom fit.